Disasters happen, be they human-made or natural. They’re an inescapable fact of life. However, that doesn’t mean that you shouldn’t be prepared for disasters. Database replication software is an important part of preparing for disasters that could interrupt the flow of your business. Read on to learn what database replication software does, how it works and why you need it. What Is Database Replication Software? Database replication software is, as the name implies, software that replicates databases. The software copies electronic data from one database to another. How does database replication software work? Traditionally, database replication software connected a primary storage location with a secondary software location (off-site). The software transfers the data to that secondary storage site. Over the years, database replication techniques have evolved. This evolution is due to advances in technology; thanks to the cloud, virtual machines and distributed computing allow for the replication of non-relational databases. How Does Database Replication Software Work? There are three primary methods of database replication: through snapshot replication, merging replication, and transactional replication. Snapshot replication involves copying the data from one server to another server or database. Merging replication, as the name suggests, merges information from two databases into one. Transactional replication takes place in more than one part: the first part is the initial transmission of information, while the second part is ongoing periodic updates. Why Do You Need Database Replication Software? We’ll go back to the point raised in the opening paragraph – disasters happen, and they’re unavoidable. While you can’t control them, you do have a choice: being prepared to face them or being caught off guard. Examples of disasters abound. You don’t have to look very far into the past to find cases in which companies lost everything because they didn’t replicate their databases (2012’s Hurricane Sandy stands out in particular). The businesses that weren’t prepared were the ones who either had the most difficult time recovering, or didn’t recover at all. That’s in keeping with the statistic that 25% of businesses never reopen after a major setback such as a natural or human-made disaster. Replicating your database gives you the ability to get back to work quickly. It doesn’t matter whether you can access your headquarters or office – database replication software can make your information available whenever and wherever you need it. What Should You Look for in Database Replication Software? With a crowded database replication software market, how do you know which one is the right one for you? 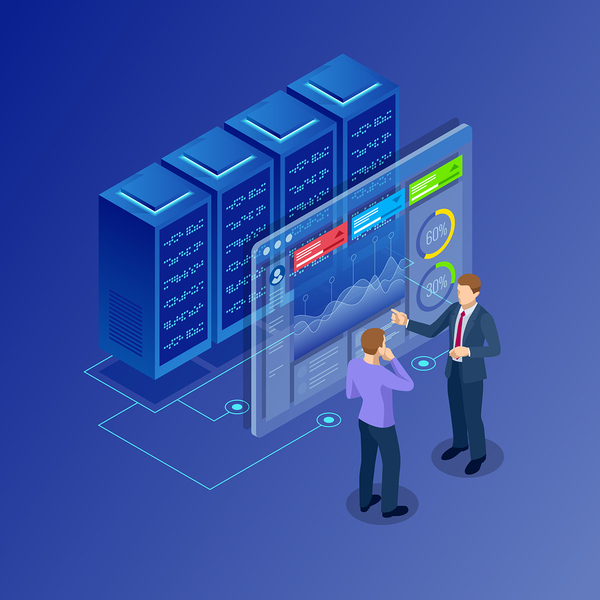 Database replication software shouldn’t force you to be locked-in to a particular vendor – you should be able to migrate to a new database or operating system without a problem. Moreover, your database replication software should automate the ETL process, saving time, money, and effort. Replication should also take place in real-time so you can make the best possible decisions.